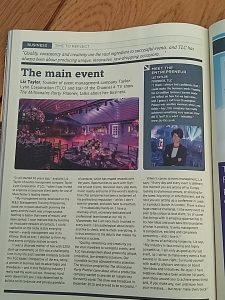 Yes, Liz appears in FlyBe’s in-flight magazine for this month. Talking business start-up, inspiration and amazing events! We were thrilled to be asked and Liz was only too keen to share her experiences, and a little advice for other budding entrepreneurs.